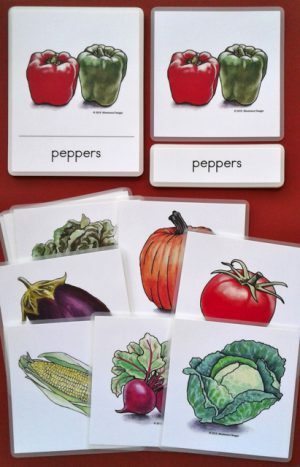 Large-print, three-part cards with 10 full-color illustrations of animals, buildings and equipment around the farm. 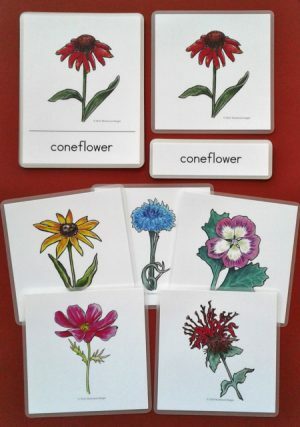 Illustrations are printed on 80# cardstock and laminated with 5mil, non-glare film for easy viewing and handling. 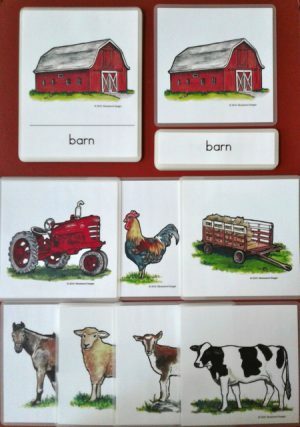 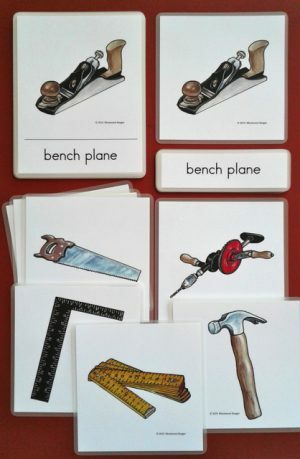 Large-print, three-part cards with 10 full-color illustrations of animals, buildings and equipment around the farm, including barn, chicken coop, silo, hay wagon, tractor, chicken, horse, sheep, goat and cow. 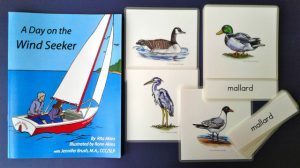 Illustrations are printed on 80# cardstock and laminated with 5mil, non-glare film for easy viewing and handling.